Discussion: Should the Pet Industry be Owned by Pet Food? Whether you're a pet store employee, a distributor rep, or even just a pet owner, there's one thing about the pet industry that everyone has noticed: pet food, and especially dog food, is king. Of the $60.28 billion spent on pet supplies in 2015, $23.05 billion of that (38%) was in pet food alone. 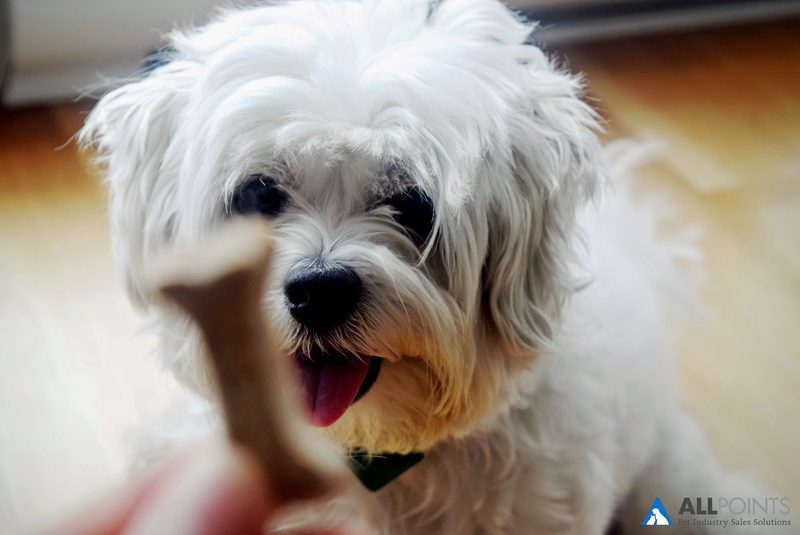 With the number of households owning dogs making up 42% of pet owners in the U.s. (cats at 33%), dog food makes up a large portion of the industry (APPA). Specifically, there are two or three large pet food companies that make up a good portion of the market. These two companies, joined by just a handful of others, have successfully positioned dog & cat food as the center of all decisions, trends and topics of discussion. They have done this by cleverly investing in marketing to veterinarians, rescues, humane societies and of course retailers. Pet supply stores are dedicating more and more space to just food and treats. Even in mass retail stores, the majority of space in their pet department is all about food, food and more food. The result being that every pet owner thinks first and foremost about what and where they buy food for their dog or cat. No matter if it's the mass retailer in your local shopping center, or the healthy, all-natural pet boutique, the marketing message is always about 'nutrition' for a healthier dog or cat. However, we all know that there's more to pet ownership than what you are feeding your little furry. Having dog and cat food companies essentially running the pet industry is like buying cars from gas stations. Why not, isn't a car all about burning fuel, like a dog is all about eating dog food? What if grocery stores or restaurants began sponsoring birthing classes and had big advertisements for hospitals and birth centers? Aren't those types of companies interested in people having more babies to eat their food? The problem of the pet industry becoming a pet food industry is that most pet stores back in the 70's, 80's and 90's just sold animals and not pets. Meaning, not enough time, care and professional training was given to actually turning a puppy, parakeet or hamster into a loving, well-behaved pet. Even now, the high majority of pets given up for adoption is due to destructive habits. The simple fact is that most of the large dog food companies don't really care if your dog barks too much, runs away or is overweight. All they care about is that you feed their food. Toys for exercise, collars and leashes for safety and control, accessories for comfort and care along with a good diet should all have an equal voice in the market. Somehow the constant bombardment from all the pet food companies needs to be drowned out by future pet owners asking "where do I buy a great pet, what else do I need for my pets (other than a bag of food) and who should I trust to help me make these decisions?" There's no single company or group of brands that can make this shift. Much of the pet supply industry is becoming too reliant on the profits poured in by the dog and cat food companies to make a change (trust us, we are a part of that group). Therefore, it may be up to consumer trends to take control of what the future of the pet industry looks like. In a decade from now, we predict less and less people will own pets because of all the related health issues and higher costs of vet bills, etc. Not to mention the continued controversy of what we should or shouldn't own as dictated by local and state governments, who are lobbied heavily by the animal rights activists. If this is a problem you have identified as well, feel free to reach out to us using the button below. Together, we can build a team of advocates for the true core of the pet industry: our pets. This revolution is not meant to fuel more profits into our wallets, but instead ensure our children, grand-children, and great grand-children will be able to feel the enjoyment of owning pets. In case you want to learn more about our research into responsible breeding and selling pets through stores, view our past articles exploring those topics. This article was originally written by Bill Hoffman and edited by Ashley Hoffman. Bill Hoffman – President/CEO has 35 years experience in the pet industry including retail ownership, distribution sales, and distribution management. Prior to purchasing All Points, Inc. in 2001, he was the Director of Sales and Marketing at Central Pet for nine years and is frequently a guest speaker at pet industry functions. Bill owes a sincere thanks to his early mentor and long time friend Doug Poindexter, President of the World Pet Association for hiring Bill back in 1982 as the fish room manager for Doug’s Animal House in southern California.